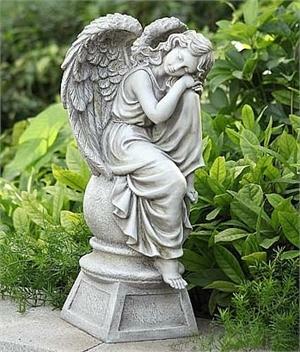 One of our garden angel finials, this lovely piece highlights an angel girl who takes a rest sleeping atop a ball finial. Resin. Beautifully detailed. Dimensions: About 16.5"H x 8" x 8"